I was in NYC to meet with brands, that I work with, face to face to discuss our next projects. During my busy days in NYC I value staying at great locations. 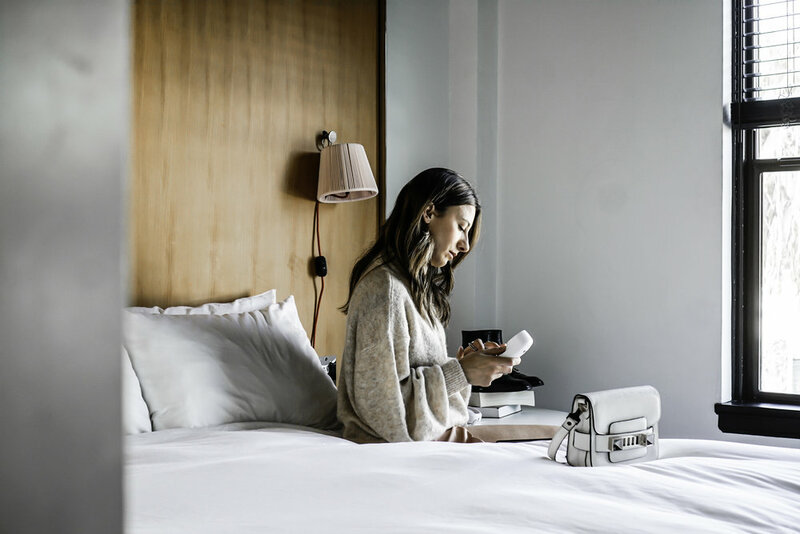 The Arlo NoMad is a trendy hotel in a Midtown high-rise building with just a 4-minute walk from the Empire State Building. In Los Angeles I stayed at The Line Hotel. I couldn't imagine that this place would be that magical. I always wanted to own a shipping container house myself. t's been almost one and a half years since we've moved to the East Coast. If you follow my instagram account @sweetnessoffashion You probably already know that I just visited Miami last week.